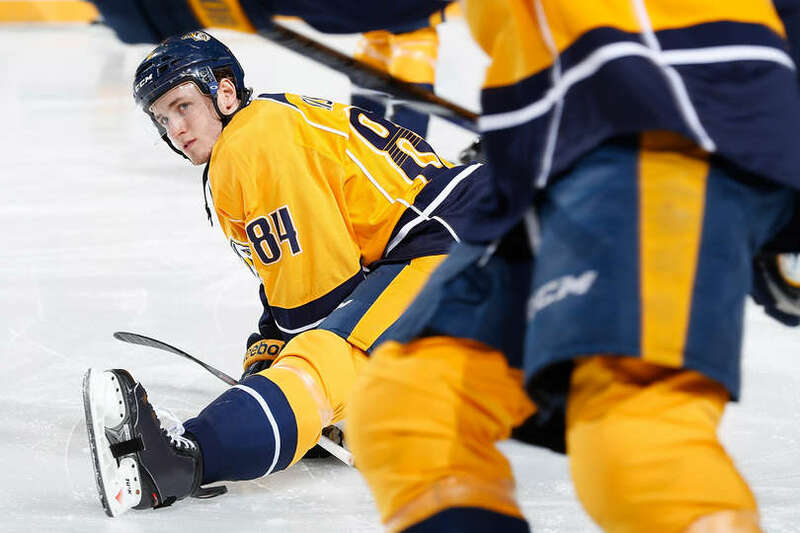 Nashville, Tenn. (February 22, 2016) – Nashville Predators President of Hockey Operations/General Manager David Poile announced Monday that the club has signed forward Colton Sissons to a three-year, $1.875 million contract. He will make $575,000 at the NHL level and $100,000 at the AHL level in 2016-17, and $650,000 in both 2017-18 and 2018-19. Sissons has participated in 19 games with the Predators this season and is certainly looking for his chance to stay with the big boys permanently. A three-year contract definitely gives off the impression that he is a valuable asset to the Predators organization — but we knew that. Preds preseason begins tomorrow *eek* evening at 6:30PM (our time) in Tampa Bay and – earlier today – the Predators released the roster of who will be taking the ice. There is a good number of guys on this roster who are vying for that all-important regular season roster spot and this will be their chance to prove their worth. List of Forwards: Paul Gaustad, Taylor Beck, Austin Watson, Craig Smith, Filip Forsberg, Calle Jarnkrok, Derek Roy, James Neal, Viktor Arvidsson, Matt Cullen, Kevin Fiala, Miika Salomaki, Colin Wilson, Vanilla Ice Mike Ribeiro, and Colton Sissons. List of Defensemen: Roman Josi, Victor Bartley, Seth Jones, Mattias Ekholm (who is now #14), Jonathan-Ismael Diaby, Johan Alm, Anthony Bitetto, and Brian Lee (who is on an Amateur ATO/Professional Tryout Agreement PTO). List of Goalies: Carter Hutton and Robby Stanley Marek Mazanec.